PJ HOLDEN, and coloured by Steven Denton. The issue will be on sale officially at the >BICS show on the weekend of 3-4 October and is already shaping up to be a classic. As well as Rogue Trooper we have strips featuring Judge Dredd, Fr1day (oh, yes!) and a story set in a series you might not expect. More news as we get closer, but as usual, the Thrill bar is being set waay high. 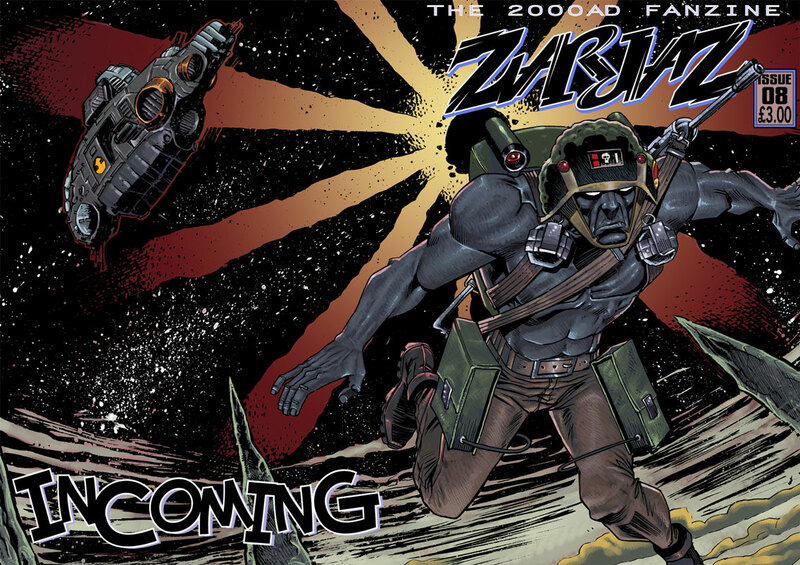 This is nicely timed as Pete Wells, over at 2000AD Covers Uncovered has posted an overview of some of the truly astounding covers we have featured here over the last few years.Truly Zarjaz! Small Universe is currently on it’s way from the amazingly talented Nigel Dobbyn. Can you tell I’m chuffed? Picture nicked from Nigels Blog. Leigh Shepherd reaches ‘Death’s Head’ in his massive review. As usual- click on the image for a larger version. 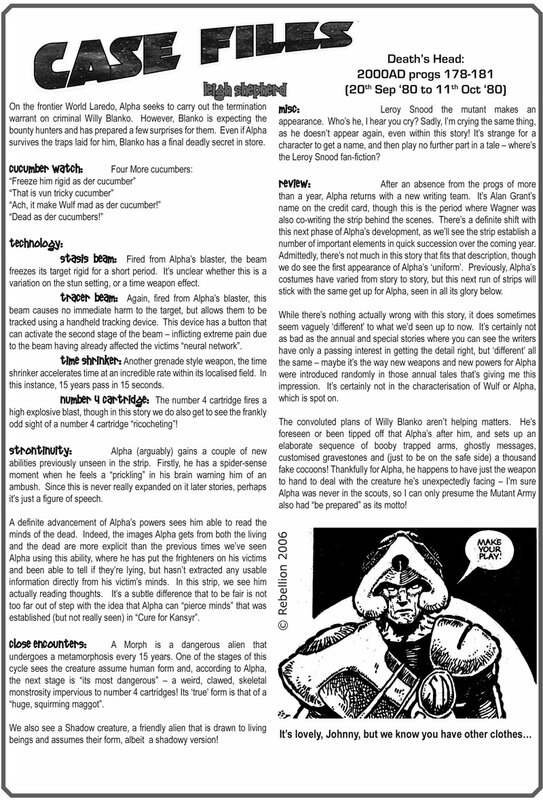 As an aside- this was the first time I’d read Strontium Dog (I didn’t read 2000 ad till prog 120) and I ‘think’ it was also the first time I’d really been exposed to Carlos Ezquerra in full flow. Dave. Freshly released from the archive we present selected strips from the original trio of comics that were FutureQuake. Catch a glimpse of the strips that started it all.